Even with the best presentation, you can leave a sale at the table if you don’t send your potential client away with a reminder of your product or service. Presentation folders have become a necessary part of business. They are commonly used at trade shows, conventions, professional events, and sales presentations. Setting yourself apart with a highly creative and memorable presentation folder may mean the difference between a lukewarm prospect and a successful sale. The first step in a successful sale is a prepared sales staff. Every member must understand the company sales process and sales scripts and requirements prior to stepping into that first meeting. A sales tool kit presentation folder is the perfect vehicle for getting new reps informed and ensuring that everyone is on the same page. Yet sales experts agree that these are only the basic requirements for preparing your sales force. Consider also including in your sales presentation folder the following important documents. A complete, easy-to-understand layout of the entire sales process will help new reps get into the swing of things and will be a great reminder for even veteran sales associates. Instead of simply providing scripts that must be repeated verbatim, offer templates that can be consistently followed without the feeling of being regurgitated. In addition to a layout of the sales process, include sales data of the entire sales force and the individual in question. Transparency with sales data will enable each rep to set goals and strive for improvement based on their past performance. Your CRM (Customer Relationship Management) system is an essential part of current and future sales. Each rep must be able to access and utilize this workflow process efficiently to help further sales opportunities and to understand current and potential customers. The sales tool kit folder should include concise instructions for entering data consistently into your CRM system. It seems obvious, but all too often, sales reps are sent out to meetings without adequate information on company products or services. While veteran sales representatives will learn and know the product line inside and out, new sales staff will benefit from product sheets, including a short description of the item, high-quality images, and relevant details. Products or service information sheets are not only meant to help the sales rep, but are meant to be shared with the customer. It is essential that they are full-color, on thick or glossy paper, and easy to consume, using bullets, charts, and graphics as needed. When on a sales call, your reps not only need to know the products, but also should know how much each item costs. A pricing calculator may also be necessary to help your sales members quickly add up costs during a sales meeting. Sales representatives should not only know your competitors, they should know your buyers. If your company regularly sells to the same clients, new reps should be schooled in what those buyers expect and what they typically purchase. You may also offer buyer profiles that sum up the types of buyers your company usually sees, along with the sales methods that work best on each type of customer. The Difference Page: While your sales rep should be able to explain what makes your company better than the competitors, having a written sheet explaining how you are different is highly beneficial. Deeper Difference Page: While the difference page is best used “at a glance,” this paper should explain in depth each difference and the value it adds to your product or service. List of Products/Services: Provide a complete list of products and/or services, so that a client who approaches your company for one thing, may end up purchasing multiple items. Deeper Descriptions: Describe your services and products in depth. Case Studies: Explain how your company’s product or services helped particular clients. Include the problem, the solution, and the result. 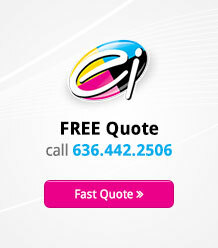 If possible, include quotes from the clients themselves about how your company’s services or products helped. Testimonials: Compile a page of testimonials from clients to share with potential customers. Client List: If you have particularly well-known customers, creating a client list can be a convincing factor to close the sale. Your Story: Tell your company history in a way that engages and entertains. Marketing kits should also include company materials with letterhead and contact information, as well as special offers and unique extras that help your company stand out from the competition. Try to stretch beyond the typical company calendar, notebook, or pen. For instance, if your company sells coffee, you can include a personalized coaster with your company name and website information. A bookstore can include a bookmark. A pharmacy may include a medical record booklet to document one’s prescriptions. These individual, personal, and unique gifts can easily be stored inside your marketing presentation folder as a constant reminder of your organization’s merits. 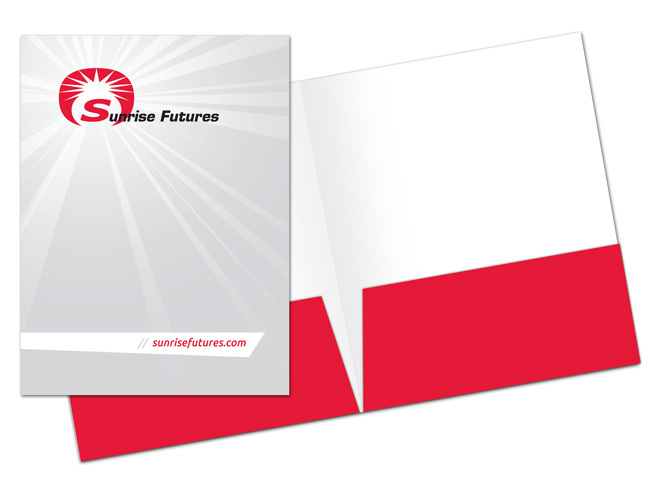 Even the presentation folder itself can be custom-designed to reflect your company’s brand. Concluding a sales pitch with a marketing folder not only keeps everything in one easy to access location for the client, but also helps your company to stand out against competitors.